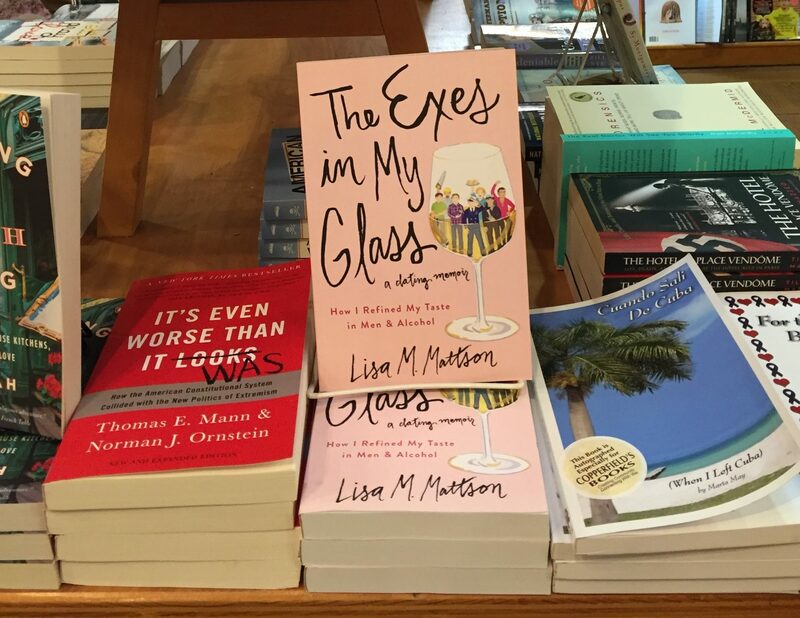 SANTA ROSA, Calif. (September 28, 2018)—Wine marketing veteran Lisa Mattson has released a second edition of her memoir, The Exes in My Glass: How I Refined My Taste in Men & Alcohol. The 2018 edition includes a bonus chapter and more wine career insights with 100 percent of book sale proceeds benefiting Sonoma Family Meal, a non-profit organization currently feeding 80 Sonoma County families who remain displaced and in financial insecurity after the 2017 wildfires. The story of a young woman’s struggles with naivety, insecurity and the double standards of dating, The Exes in My Glass: How I Refined My Taste in Men & Alcohol takes readers through a humorous string of 13 ex-boyfriends that honed the former waitress/bartender’s palate and guided her destiny to Santa Rosa, Calif., where she landed her dream job and her dream man.The Exes in My Glass ebooks ($9.99) are available on Amazon, iTunes, Barnes & Noble, Kobo and Google Play. Paperbacks ($15-$18) are sold at major online retailers and the following local businesses: Copperfield’s Books, Healdsburg; Breathless Wines, Healdsburg; SIGH Champagne Bar, Sonoma; Copperfield’s Books, Calistoga. Links to retailers can be found at http://lisamattsonwine.com/books/the-exes-in-my-glass/purchase/. Read the book’s synopsis at http://www.lisamattsonwine.com/books/the-exes-in-my-glass. Sonoma Family Meal’s chef-made meals are prepared with nutritious ingredients, often from local farmers and purveyors. “This disaster is far from over for so many families. We have promised to be here for families rebuilding their lives as long as needed. We are so grateful for donations like Lisa’s that help us continue our work,” said CEO and founder Heather Irwin. Learn more at www.sonomafamilymeal.org. The Exes in My Glass: How I Refined My Taste in Men & Alcohol follows Mattson’s life from rural Kansas to South Florida’s beaches, the streets of New Orleans and the vineyards of Northern California, from naïve and love-lust while chasing pot-smoking scuba divers, waiters and models, to polished and savvy when pursued by winemakers and pro golfers. These stories of her ex-boyfriends are about much more than a young woman thirsty for worldliness and starving for love. It’s about how someone who had given up on the fairytale found the courage to face her mistakes and take a second chance at living her dreams in Sonoma County wine country. Learn more at www.lisamattsonwine.com.